Gen Pervez Musharraf’s army has done what was feared. It has killed the most popular leader of Baluchistan, Nawab Akbar Khan Bugti, little realising that its pre-planned operation will deepen the crisis in the already troubled and biggest province of Pakistan. THE Comptroller and Auditor General has discovered misappropriation of over Rs 934 crore collected as the rural development cess during 2001-05 by the Punjab Government. A government that projects itself as farmer friendly has been caught fleecing the farming community as well as the general consumer. IN the sixties and seventies, the majority of the films churned out by the mainstream Bombay film factory were either violently comic or comically violent. “Formula” ruled the roost. There were glorious exceptions, though, and most of them came from Hrishikesh Mukherjee, so much so that a good, clean family film came to be known as Hrishikesh-brand of cinema. Defying the prevailing trends in those days was no easy task, and it was only a man of his stature who could think of doing so. THE Manmohan Singh government’s insistence on maintaining executive privilege in dealing with the Indo-US nuclear deal raises two kinds of questions. On the constitutional level, it relates to a possible change in order to bring Parliament into the loop in ratifying treaties the government of the day enters into. MY battalion was then deployed for operations against the Naxalites in Srikakulam district of Andhra Pradesh. I held an important position in the unit. In the absence of the second-in-command, I officiated on this appointment as the seniormost Deputy Superintendent of Police. MORE Indians are accessing the Internet than ever before, but the nation is way down the list in the number of users internationally. The US is the leader by far, followed by China, Japan, Germany, United Kingdom, Korea. MAPHUNGWANE, Swaziland – Men in blue coveralls and white surgical masks began their annual trek into the countryside here last week. Methodically, they sprayed one home after another with a chemical that is poised for a big expansion in the developing world: DDT. THE President’s Secretariat has brought out a book on Rashtrapati Bhawan. Titled Mansion Nonpareil, the architectural marvel on Raisina Hill in the national capital was designed by Edwin Lutyens. Constructed over 17 years, it was officially opened as Viceroy House in 1931. Gen Pervez Musharraf’s army has done what was feared. It has killed the most popular leader of Baluchistan, Nawab Akbar Khan Bugti, little realising that its pre-planned operation will deepen the crisis in the already troubled and biggest province of Pakistan. That the General has congratulated the army for its action shows that the cold-blooded killing of a former Governor and Chief Minister of Baluchistan, along with some of his family members and followers, has been carried out at the behest of the Head of State of Pakistan. The regime in Islamabad preferred to silence the Nawab by killing him instead of answering his uncomfortable questions relating to the discriminatory policies being pursued against Baluchistan. The Pakistan government can only be severely condemned. Now the people of Baluchistan have got the most appealing factor to forget their inter-tribal differences and launch a united struggle to end their exploitation. The fresh protests in Baluchistan may find their echo elsewhere too in Pakistan. By its ill-calculated action against Nawab Bugti, the Pakistan Army, much of which has already been locked up in Baluchistan, has provided the latest proof to the Baloch that Pakistan has decided to intensify the campaign to suppress the popular movement. The angry and frustrated Baloch may react with greater vigour as they did in the past when they attacked the Sui gas installation, disrupting its functioning for a long time. 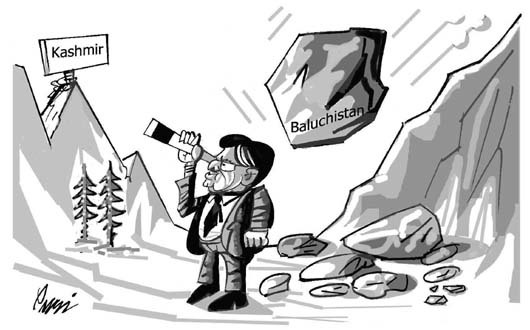 Thanks to its own policies, Pakistan is in for deeper trouble in Baluchistan. It is the richest province of Pakistan in mineral resources and has nearly 43 per cent of the country’s total landmass to support just 7.5 million population. But, paradoxically, it is the poorest province. All the protests by the Baloch over their ill-treatment have led to only the violation of their human rights in the most brazen manner by Islamabad. It can cause only concern among the lovers of human rights, justice and fairplay everywhere in the world, more so in India, the next-door neighbour of Pakistan. The cause for peace and stability in Baluchistan calls for negotiations, and not the use of force, as India has pointed out, describing the ugly happenings as “unfortunate”. THE Comptroller and Auditor General has discovered misappropriation of over Rs 934 crore collected as the rural development cess during 2001-05 by the Punjab Government. A government that projects itself as farmer friendly has been caught fleecing the farming community as well as the general consumer. The Punjab Mandi Board collects a 2 per cent rural development cess from farmers who bring their produce to its mandis. The amount thus collected has to be spent on building rural roads and marketing infrastructure and providing basic facilities to farmers and arhtiyas. This has not been done. The CAG has made an important observation. The statutory charges collected on wheat, it says, are the highest in Punjab. These range between 10.5 and 11.5 per cent. It is the farmers bringing their produce to the mandis who have to pay these charges. Lack of facilities at the mandis exposes farm produce to an inclement weather, delays procurement and inconveniences farmers. Inefficient, manual handling of foodgrains apart from the high market fee and other taxes escalates the costs. It is the consumer who ultimately has to bear the burden. There was another serious lapse. The Centre had stipulated that all payments of the market fee and the rural development cess should be made only after obtaining utility certificates. However, the money was released without such certificates. The CAG’s revelations need to be followed with some “action taken reports”. They should not be forgotten like yesterday’s headlines. Politicians in power tend to ignore the CAG/Accountant-General’s findings. During the previous Akali regime money meant for foodgrain procurement was diverted to pay staff salaries. Earlier this year the Punjab A-G had pointed out a Rs 51 crore loss to the exchequer due to unwarranted benefits given to units owned by Congress leaders, but to no effect. The Punjab Government owes an explanation as to how the Rs 934 crore cess has disappeared. IN the sixties and seventies, the majority of the films churned out by the mainstream Bombay film factory were either violently comic or comically violent. “Formula” ruled the roost. There were glorious exceptions, though, and most of them came from Hrishikesh Mukherjee, so much so that a good, clean family film came to be known as Hrishikesh-brand of cinema. Defying the prevailing trends in those days was no easy task, and it was only a man of his stature who could think of doing so. Beginning with “Anari” in 1959, his 46 films carry a distinctive stamp entirely his own. The gentle storyteller is now no longer with us but the inherent quality of his works is long-enduring. In fact, films like “Anupama”, “Anand”, “Satyakaam” and “Abhimaan” can always make it to the honours list. As noted filmmaker Mrinal Sen, who was his long-time friend, has pointed out, his characters could rarely be evil. What is remarkable is that his mastery was not confined to sensitive portrayals alone. He also gave us some of the finest comedies ever filmed. There was nothing slap-stick about them. Loudness was alien to him. The gentleness of his other films was carried here too and the sense and sensibility of the situations made them uniquely hilarious. “Golmaal” and “Chupke Chupke” are the best representatives of that cinematic idiom. The Dada Saheb Phalke Award recipient remained active till the mid-eighties but then almost faded into oblivion. This was not entirely due to ill health and personal tragedies. Iron-clad star system and decline of taste that had set in was too much for him to grapple with. Such rise and fall is the law of nature. But it is a pity that none has cared to wear his mantle. His type of cinema is still needed. All that is required is a genius with his mettle. It is better that 10 guilty persons escape than one innocent suffers. THE Manmohan Singh government’s insistence on maintaining executive privilege in dealing with the Indo-US nuclear deal raises two kinds of questions. On the constitutional level, it relates to a possible change in order to bring Parliament into the loop in ratifying treaties the government of the day enters into. On the more important political level, the Opposition and left parties’ efforts to pass a sense of the House resolution broadens the democratic nature of decision-making even as it restricts the freedom of the executive. After Jawaharlal Nehru laid the foundation of Indian foreign policy, as on many domestic issues, decision-making on India’s international relations has been restricted to a small group of ministers and the mandarins in the External Affairs Ministry. There have been two exceptions. After the debacle in the 1962 border war, the China policy came into sharp focus and, given the nature of the subcontinent’s troubled partition and Pakistan’s approach, relations with the northern neighbour have become a part of domestic politics. The nature of the nuclear deal, foreshadowing a new basis of relations with the United States, has become a subject of national debate because it represents a departure from India’s traditional policies as they have come to be practised since Independence, except for the crisis in India’s self-confidence following the mauling at the hands of China in the border war. The world has changed dramatically in recent decades. The Cold War is over, the Soviet Union has disintegrated, Germany has been reunited and the United States has achieved the status of being the sole superpower. The concept of non-alignment, which was being diluted over decades, ceased to have its original rationale in a world that was no longer bipolar. India, together with the rest of the world, sought to explore new relationships in an era of new opportunities and hazards. Logically, the Indian attempt to improve the often testy, if not adversarial, relations with the United States was an obvious path to take. It coincided with American attempts to seek a new relationship with New Delhi to meet its own geopolitical needs, apart from India offering an inviting field of investments and market. The process began towards the end of the Clinton presidency and was accelerated by the George W. Bush administration. The culmination of these efforts was the agreement signed in Washington by President Bush and Prime Minister Manmohan Singh on July 18, 2006, on nuclear cooperation. Being a non-signatory of the Nuclear Non-Proliferation Treaty, India was denied nuclear cooperation by the “haves” and both sides sold the new agreement as a solution to India’s increasing energy requirements to meet a burgeoning economy while offering an environment-friendly option, compared to the burning of fossil fuels. 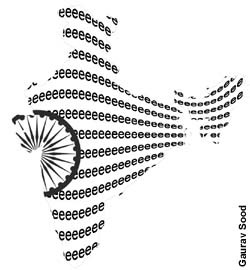 India’s official view was that the deal would elevate it to a status equivalent to the recognised nuclear weapons powers although the fine print, when it became available, made it plain that such was not the case. Indian misgivings across a wide spectrum came to the fore as US legislation on the deal, as it went through committees and in the House of Representatives, took a rather different shape than publicly envisaged. Official testimonies before the House and Senate committees presented the deal as a non-proliferation venture and riders introduced by legislators gave it a new thrust, which sought to envelop India into America’s geo-strategic scheme of things, particularly in relation to Iran. It also became clear that although India’s nuclear weapon status was tacitly accepted, its obligations were a lot more onerous than accorded official nuclear powers. Against this background, the Left parties first voiced the view that the Houses of Parliament should pass resolutions on the nuclear deal expressing the sense of the House, which would, in effect, set limits to the government’s freedom of action and also represent red markers to any changes contemplated by the American side. The opposition Bharatiya Janata Party, for its own opportunistic reasons, jumped on the Left bandwagon to embarrass the government. Understandably, the government is resisting ceding more power to the legislature than the Constitution permits, somewhat in the manner of executive US presidents zealously guarding their executive privileges against encroachments by the two Houses. The telling difference is that while the US Senate is required to ratify treaties, there is no such stipulation in the Indian system. Obviously, a mandatory ratification of treaties by the legislature is a more democratic procedure and should be incorporated in the Indian Constitution. Of greater political import have been parliamentarians’ efforts to give legislative imprimatur to the Indo-US nuclear deal. There is no consensus on its benefits and politicians as well as experts have been voicing misgivings on its implications. Cultivating good relations with the sole superpower is in India’s interest, as the growing trade and economic links and the growth and prosperity of the Indian diaspora in America testify. Doubts arise out of the American expectation of Indian subservience in foreign policy, highlighted by the anti-Iranian vote New Delhi cast in the International Atomic Energy Agency. While compromises and trade-offs are part and parcel of international diplomacy, the Iran vote came to symbolise American expectations and Indian compliance on an important facet of foreign policy. And despite the Prime Minister’s assurances to Parliament and dissenting nuclear experts, neither politicians nor experts are entirely satisfied. Divisions in the policy-making elite run deep and consensus on a broad foreign policy issue is missing for the first time since the border war with China. After a moment of panic, Jawaharlal Nehru was able to find his bearings again, thanks partly to American hesitation in 1962. India must now find equilibrium without the assistance of the one-man foreign policy institution Nehru was. The government can begin to achieve a consensus on the nuclear deal by letting Parliament have a formal say. The United States habitually plays its legislative processes to buttress its diplomacy. There is no reason why India should not similarly use legislative requirements to diplomatic advantage and give the country the feeling at the same time that it is carrying it along in its new phase of relations with the United States. Our Commandant, an easy-going Gurkha, had just come on deputation from the Orissa Military Police. He had very little knowledge of the CRP Force ethos and his interest level was low as he was on the verge of retirement. In this situation, he had decided to leave the things to me. I was, thus, in the position of a Marhatta Peshwa or a Japanese Shugen so far as this CRPF unit was concerned. A platoon of the unit, under command of Sub-Inspector Madhawan, was placed in the village of Garudbhadra to guard a landlord, a prominent Naxalite target. Just after a few days a wireless message was received that a Naxalite “dallam” (group) led by one Tamad Ganpati had shot dead this man. My first reaction was to issue a nasty signal to Madhawan calling for his explanation. However, my sense of discretion told me to first visit the spot and hear the Sub-Inspector. On reaching Garudbhadra, I found the man in tears and cursing himself. In a typical South Indian accent, he said: Am ko to saab mar jana chahiye (I feel like killing myself). I have brought disgrace to the Force”. I soon learnt that Madhawan could hardly be blamed for the mishap. The landlord had slipped his tightly guarded house by scaling the wall of his backyard to his field as he was worried about the standing crop. Ganpati got him there. Thus, instead of condemning Madhawan, I ended up consoling the man. He felt comforted when I told him that from then onward Tamad Ganpati would be his concern. He went after the offender like a man possessed. Every other day there were reports that the criminal had narrowly escaped at Madhwan’s hands. Meanwhile, our men apprehended and liquidated quite a few Naxalite criminals. The rest, including Tamad Ganpati, were unmistakably put on the run. Just after a couple of months, I was promoted and posted out. While I left to join duties at my new place of posting, I thought that we had, more or less, sorted out the Naxalite menace in the area. In fact, there was a long lull at the place after I left the district, though, undoubtedly, something was still simmering under the surface. Some of our politico-admistrative weaknesses have since brought the problem back in a more virulent form. So far as Tamad Ganpati is concerned, I soon learnt that he was liquidated in an encounter. I do not know whether it was Madhawan’s men who accounted for him. I am also not sure whether Madhawan was happy about it. After all, he was a God-fearing individual with no personal animosity against anybody. He was just a humble peacekeeper to the nation, keen to do his duty well. MORE Indians are accessing the Internet than ever before, but the nation is way down the list in the number of users internationally. The US is the leader by far, followed by China, Japan, Germany, United Kingdom, Korea. India is now the ninth in terms of overall online population internationally, according to a survey by comScore World Metrix, a US-based company that compiles data on the Internet and its users’ behaviour. The good news is that the total online population in India has risen by 7.8 per cent from March to June. The overall rate of growth internationally is 2.7 per cent. This growth is indicative of the potential the nation has, but China has too registered the growth of 5.22 per cent, and it has a base that is many times that of India. The survey does not take into account the traffic from Internet cafes, which are a main source for online access to millions of Indians. While it has improved, the lack of infrastructure continues to be a major problem for Internet users. Broadband connections have not grown at the expected rate, though there are simultaneous moves to have Wifi zones and WiMax connectivity in cities like Chandigarh. Connectivity is poised to increase tremendously. VSNL decreasing the rates for lease lines will also help to make them more attractive. How do people use the Internet? A large number of users visit the Net for news. While figures for India are not available, a study found out that 54 per cent of all US Internet users visited news sites in June 2006, thus showing consumers’ reliance on the Web as a source for news information. The Tribune’s website, tribuneindia.com, has, for instance, showed a growth of 11 per cent in its reach in the last three months, according to Alexa, a web traffic ranking company. Net usage is now governed by utilitarian concerns, rather than the novelty value of the medium. While e-mail, chats and calls are still the main drivers, online banking has also registered a tremendous growth. Online banking was first introduced by the ICICI Bank in 1996. However, it was only in 1999-2000 that online banking became common among Internet users, 15 per cent of whom now bank through the Net, according to the Internet and Mobile Association of India. The association expects the number of customers who bank online to grow over 16 million (inclusive of Internet and mobile banking) by 2007-’08. Many traditional brick and mortar companies are getting new business through the Internet, and are providing services that were not available earlier. There has been a tremendous growth among travel sites, like Indianrail.com and Makemytrip.com. Naukri.com and Shaadi.com continue to be among the most highly visited Indian websites. Florists, fruit sellers, sweet shops, you can get them to deliver anywhere through the Net, and people are doing so in increasing numbers. At the same time, there is growing concern about privacy issues and protection from cyber crime. The Net needs constant monitoring, and even though India has good cyber laws, they must evolve synchronously with the industry. As a major outsourcing destination, India has to be proactive in protecting data and providing cyber security. Privacy has not really been defined as yet. Overall, individual privacy is not taken as seriously in India as in the West, but now there is much more to loose, a frightening amount of “identifiable personal information” is available in data bases, both government and commercial. Though Article 21 of the Constitution guarantees the protection of the privacy, the general perception is that the law is not adequate as yet. While these concerns must be addressed at the earliest, there is no doubt that more and more Indians are using the Internet to serve their daily needs. The Internet is primarily used by English-speaking Indians, and there are an estimated 15 crore of them. It is now widely perceived that a plateau will soon be reached as far as growth in English language sites is concerned. A major flip to the usage of the Internet is going to be its use by the indigenous languages like Hindi, Tamil and Gurmukhi. The local language content is where growth will be. One of the bugbears of using these languages was the lack of standardisation, something that has not been addressed by the adoption of Unicode standards. Earlier, there were dozens of keyboards for any language, and this resulted in confusion. Now, if a font conforms to Unicode specifications, it will be viewed uniformly by all compatible computers. It is obvious that in the next decade, there will be a profusion of Indian language content on the Net, which is exponentially increase the usage and accessibility of the Net. Increasing Net accessibility is now bringing forward young Indians who have literally grown up with the Net. This is the generation that is likely to throw up geeks who will come up with “killer applications” that will make their mark internationally. The heartening thing about the growth of the Net is that it demonstrates the speed with which Indians are ready to adopt new technology. The challenge is in the gap that has to be covered before India gains a leadership position. The influential World Health Organization plans to promote DDT as an inexpensive and effective tool against malaria. And the U.S. government, which banned DDT in 1972, has boosted its budget for malarial insecticide spraying in Africa by twenty-fold, to $20 million next year. As villagers looked on, the workers used hand pumps to douse inside and outside walls with a fine mist. It is a yearly effort to repel and kill mosquitoes that carry malaria — a disease that kills more than 1 million people a year, mostly children in sub-Saharan Africa. This small kingdom near South Africa is one of just a handful of countries still using the notorious pesticide, banned in many countries because of its toxic effect on wildlife. The new push for household spraying reflects a growing belief in some quarters that significant progress on malaria will require a third major front, alongside insecticide-treated bed nets and novel anti-malarial drugs. No one proposes a return to the widespread agricultural use that decades ago severely harmed ecosystems in the United States and Europe. The results of such spraying famously were depicted in Rachel Carson’s landmark 1962 book “Silent Spring,” which launched the modern environmental movement. Advocates of household spraying say the comparatively minute amounts used in homes pose no known dangers. Any potential risk, they say, is far outweighed by DDT’s potency against malaria, as was seen in the late 1940s and ‘50s when it helped eradicate the disease in the United States and other industrialized nations. But environmental groups, while recognizing DDT’s public health benefits, argue the chemical should be only a temporary measure. Greenpeace worries some inevitably will be diverted to farming uses and asserts that long term health effects on humans are still not known conclusively. Some public health experts, meanwhile, say DDT has a role but is no so-called “magic bullet.” Mosquitoes can grow resistant to it. WHO officials maintain that they are not minimizing the role of insecticide treated nets or treatment, just restoring proper emphasis to spraying — a move some critics see as long overdue. Aside from Swaziland, countries that he said use DDT include China, Ecuador, Ethiopia, India, Mozambique, Namibia, South Africa and Zimbabwe. Tanzania and Uganda are considering it, he said, and he expects others to do the same. Its name was changed to “Government House” when India attained independence. With the birth of the Indian Republic, it acquired its present name, Rashtrapati Bhawan. In his foreword, President A.P.J. Abdul Kalam says he sees Rashtrapati Bhawan on full moon night every month. With the abundance of flowers of myriad varieties blossoming forth, the fragrance of the herbal garden, the bio-diversity park...the whole atmosphere is dynamic and pulsing. He expressed confidence that this book would open up to the people another window to an important facet of India’s cultural heritage, that also marks the confluence of the East and the West. The glossy book has been authored by Satish Mathur, a civil servant who has been working in Rashtrapati Bhawan since 2002. Telangana Rashtra Samithi workers had to wait till late evening on Thursday to end the “indefinite fast” of their leader Chandrashekhar Rao. The fast, lasting two days, ended after Union Agriculture Minister Sharad Pawar conveyed the appeal of Lok Sabha Speaker Somnath Chatterjee to the TRS leader to end his fast. Though Chatterjee had made a similar appeal a day earlier, TRS workers were keen to end the fast only after the visit of Pawar, to lend the event due symbolism. Busy as he was in Parliament on Thursday, Pawar could arrive at the site of the fast only after 11 PM. TRS workers later claimed the fast had helped them expose the Congress for not fulfilling its promise of creating a separate Telangana state. The Lok Sabha channel, the brain child of Speaker Somnath Chatterjee, seems to be gaining popularity amongst the members, if not outside. So much is the competition to be seen on the idiot box, that members continue to put forth their views on the issue even after the Speaker rules that it is not going on record. Was it a rude shock or a pleasant surprise that Chatterjee got when a member in the Lower House remarked “What if it is not going on record, at least it is being heard by the electorate in my constituency.”?! Its programming thus far is mostly interview and discussion based, besides beaming the proceedings of the House or programmes like “Party Stand.” It is only the second rung leaders who are seen on this channel as the seniors prefer to show their mug and provide bytes to the mainstream TV channels. The Speaker is keen that the channel should become economically viable. Mr Jayaprakash Narayan’s blueprint for a total revolution that he gave to the nation in his broadcast may seem utopian to orthodox Indian thinkers. The Marxists may pooh-pooh the idea coming from a Gandhian. A revolution, however, need not be a Marxist-Leninist monopoly. Nor need it have violent manifestations. Most of J.P.’s suggestions are sound and are within a translatable limit of any democratic government that cares and feels for people. There is nothing earth shaking in what Mr Narayan says. Some of the ideas have been aired on different platforms by different preachers. Our main thrust should be directed at improving the quality of politics and politicians who should be responsive to the people’s hopes and aspirations. The main problem is to put the right people in the right places. Who can stand without legs? Vedanta are the legs on which the Supreme Consciousness stands. When the king aspires to monarchy he must hold his people within a ring of benevolence. He must be like the blue sky encompassing all in its kind dome. He must rule them virtuously, unimpassionately and humbly. It is a wonderful thing that God Himself loves me tenderly. That is why we should have courage, joy, and the conviction that nothing can separate us from the love of Christ.